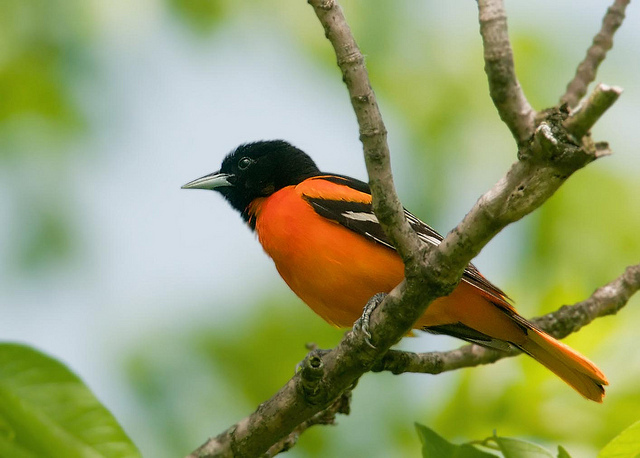 The Baltimore Oriole is a common bird in North and Central America. 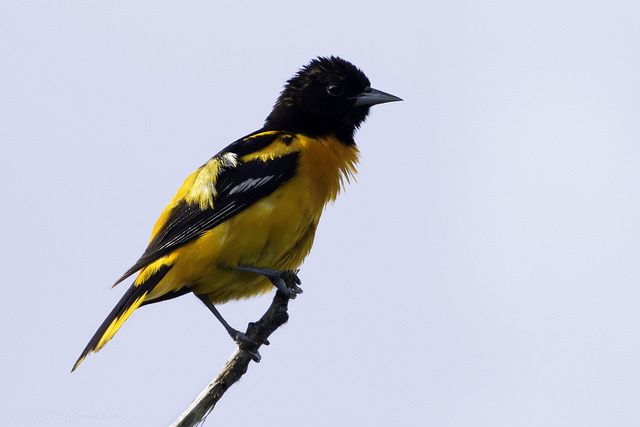 The male is striking black, orange, and yellow. The female is yellow and brown.